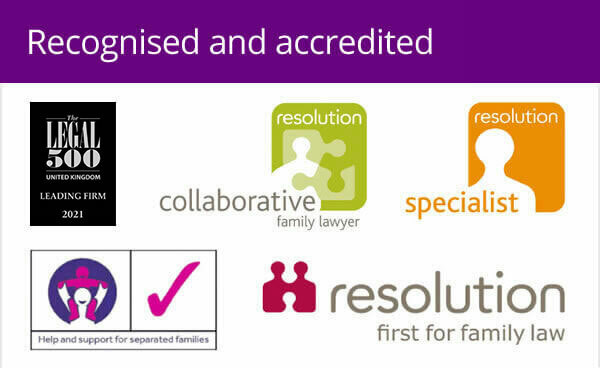 This fixed price is relevant if you are the one initiating the divorce proceedings (the petitioner) and you would like a Woolley & Co lawyer to complete all of the divorce paperwork and apply for the divorce nisi and decree absolute on your behalf. An uncontested divorce is one where you and your spouse have agreed to obtain a divorce. It assumes that the other party does not formally object to the divorce and that the Court accepts the grounds for divorce without question (which is normally the case). All costs associated with obtaining a divorce. 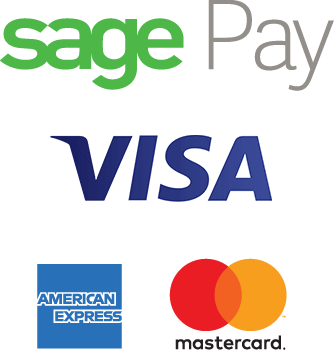 In addition to the completion and filing or all the paperwork we include an allowance of up to 2 hours discussion with you by phone or e-mail to address any concerns or issues arising from the paperwork. In the vast majority of cases this is more than sufficient to deal with the divorce process. The divorce Court will require you to pay standard government fees. These are currently £550.00 payable when the petition is filed. 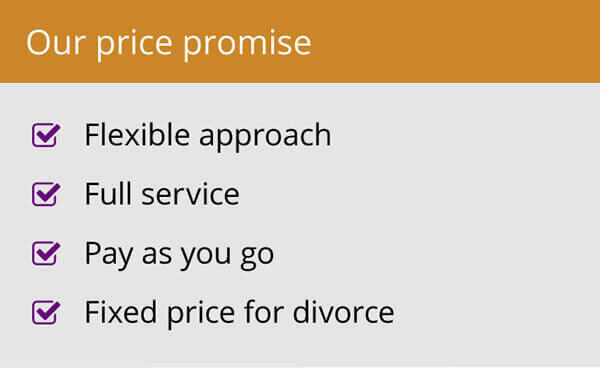 This is included in our total cost for a fixed price divorce. 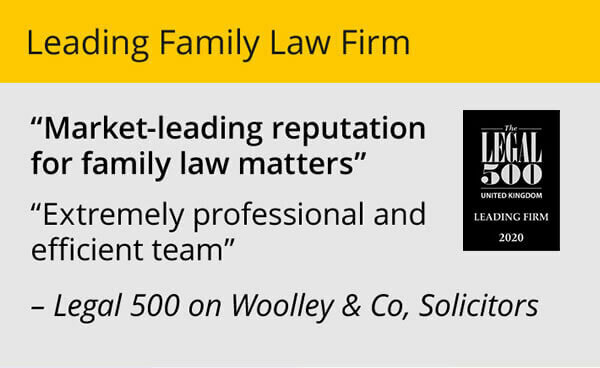 Contact Woolley & Co on 0800 321 3832 or book a free telephone appointment with one of our lawyers.